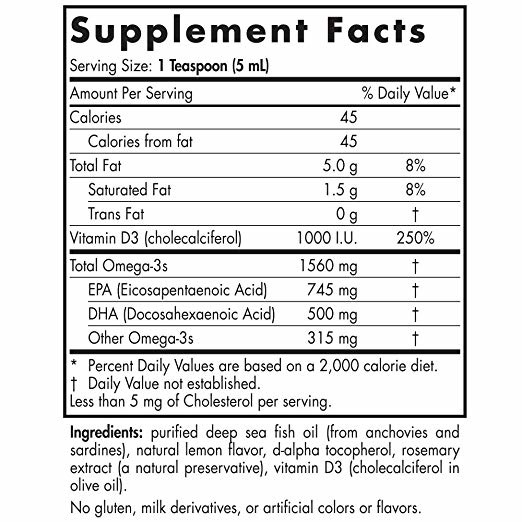 Review Nordic Naturals Omega-3D, 8oz. Home Nordic Naturals Omega-3D, 8oz. 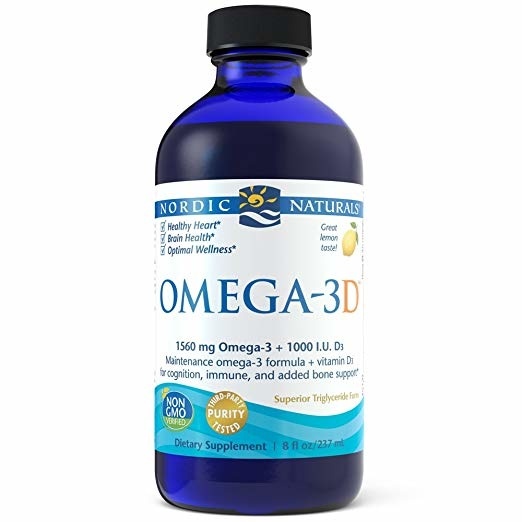 OMEGA-3 EPA AND DHA - Nordic Naturals Omega-3D is a non-concentrated formula with all of its parts in a natural balance. Omega-3s have been shown to promote healthy immune function and metabolism, and to support healthy blood sugar levels and the body's ability to respond to stress in a healthy way. 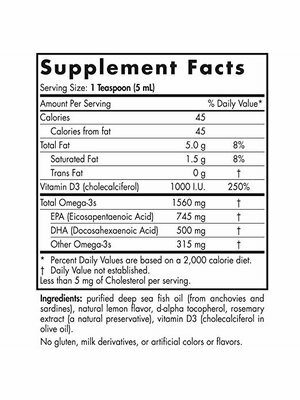 Essential fatty acids like DHA and EPA promote cardiovascular and respiratory function, support brain health, and promote joint flexibility. 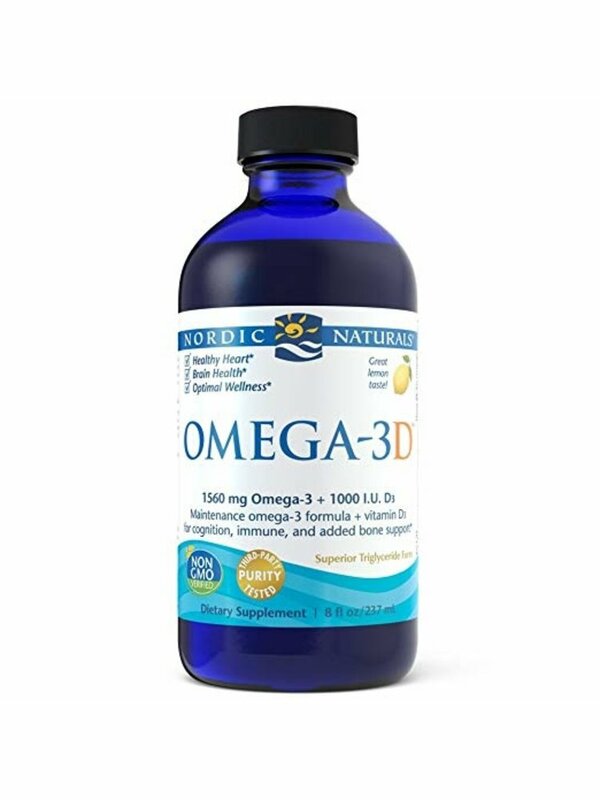 * Nordic Naturals Omega-3D is also available in soft gels. 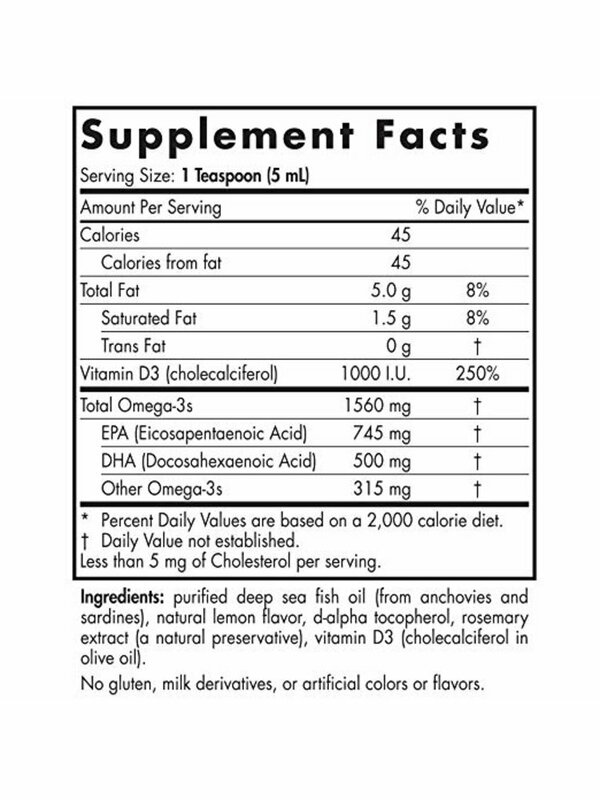 BEST ABSORPTION FOR BEST RESULTS - Many concentrated fish oils on the market are in the ethyl ester molecular form-a synthetic fat. Nordic Naturals formulas are produced in true triglycerides to ensure optimal absorption and results. Nordic Naturals is a leader in freshness and uses citrus essences and other ingredients from nature in our patented flavoring process to ensure our supplements have no fishy smell, taste, or aftertaste. Easy to add to any vitamin supplement routine.